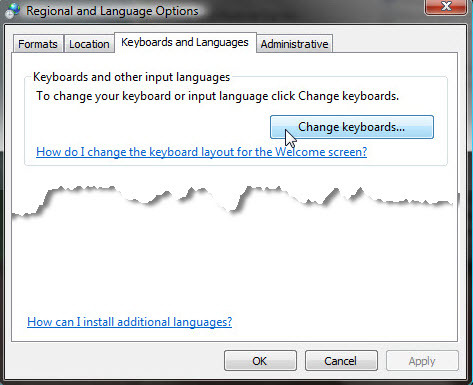 Go to Control Panel and choose Regional and Language Options. 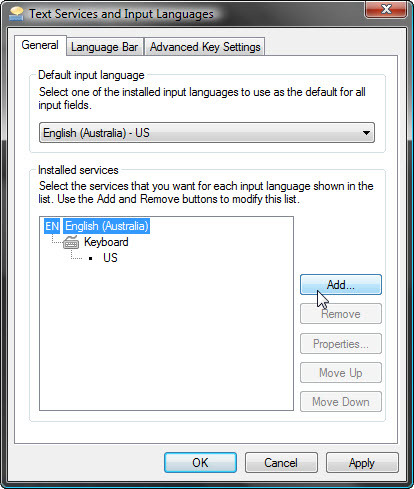 If your Control Panel looks a little different choose Clock, Language, and Region first, then select Region and Language Options. 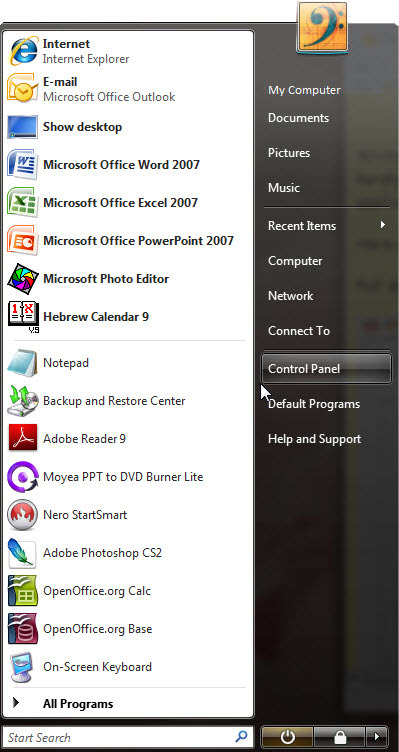 The Control Panel will look a little different on a Windows 7 computer but the process is the same. 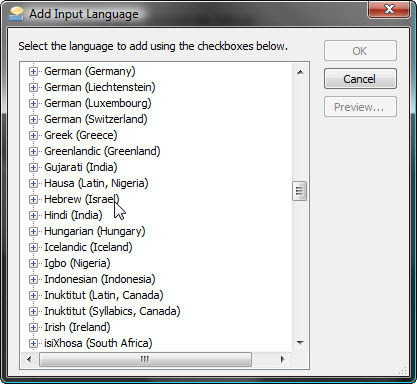 Choose Clock, Language, and Region or/then Region and Language. The directions that follow from this point apply to both Windows Vista and Windows 7. In the General tab of the Window that opens click Add. Browse to Hebrew in the list of languages and open the Hebrew list. Click OK to return to General tab. Hebrew should now show as an input option in the General tab. 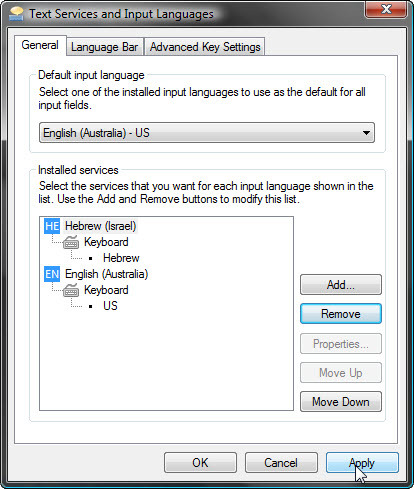 Click Apply to confirm your language options and OK.
You are now ready to type in Hebrew. 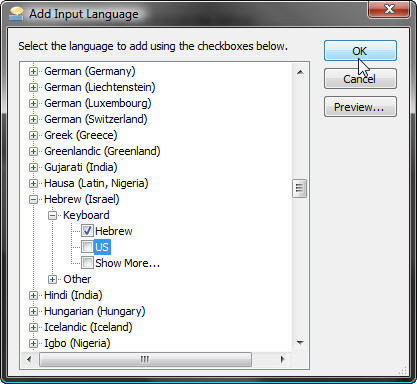 Choose HE (Israel) to change your language option from English to Hebrew.